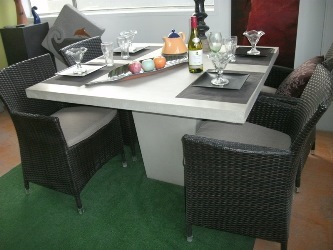 Square lightweight concrete (GRC) Table. 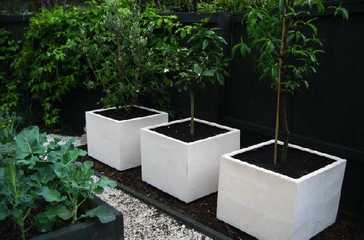 Concrete trough containers great for sheltered or barrier planting. All planters have a matt solid plaster finish that looks like concrete.